Microsoft's annual conference at E3 2018, the biggest expo in the gaming calendar, made plenty of headlines overnight, including the confirmation that the platform giant is indeed working on the next Xbox, but then it rounded off its show with the world premiere of a new game that everyone is talking about. 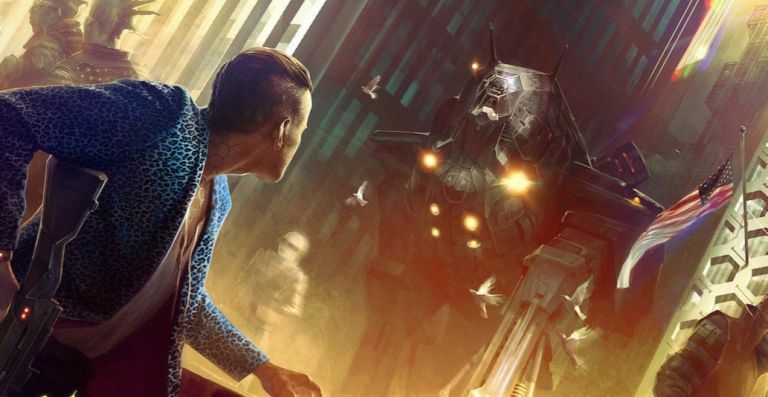 Cyberpunk 2077 comes from Polish studio CD Projekt RED - which gave us the incredible Witcher games on PC and consoles - and casts you in the role of V, a would-be mercenary embarking on the start of his career. The futuristic setting of Night City, with a visual style evoking the neon-drenched feel of the Blade Runner series, looks to be a striking backdrop for an RPG that's been in development for a good six years now. No word on a release date just yet, but a hidden message in the multi-platform title's reveal trailer has seemingly confirmed there will be free DLC (much like The Witcher 3) and no micro-transactions. We're super excited and, after you watch the awesome Cyberpunk 2077 E3 2018 trailer, you will be too.